Kitec is a material manufactured as an alternative to traditional copper plumbing and hydronic heating pipes and fittings. Consisting of an aluminum pipe enclosed within layers of plastic pipe, this material was used in new homes and renovations between 1995 and 2007 as piping for potable water and boiler-based in-floor or baseboard heating. However, despite the promises made by Kitec’s manufacturer in terms of performance and longevity, Kitec was found to corrode at a rapid rate, resulting in a recall of the material in 2005; today, Kitec is no longer produced or used as a replacement for copper water pipes. The only way to replace existing Kitec plumbing is to remove this material from your home, which often requires creating access points in walls, ceilings, and floors. If your home contains Kitec plumbing, you may wonder whether replacing this material before any problems have occurred is worth the effort; however, the number of failures and lawsuits filed due to Kitec plumbing should prompt you to contact your Seattle plumbing service to discuss Kitec pipe replacement. The most important reason to consider replacing your Kitec piping and fittings is peace of mind. Professional plumbers have observed an increasing rate of Kitec plumbing failures, which is only expected to continue over time as the remaining Kitec pipes still installed begin to fail. This means that the longer you have gone without replacing your Kitec plumbing, the higher your risk for an issue related to your plumbing in the future. Furthermore, because of the nature of Kitec plumbing and its failures, small leaks are not the only possibility associated with deterioration—large-scale pipe failures are also likely, which can lead to serious flooding, property damage, and loss, especially if a pipe bursts while you are not home. The only way to ensure that you will not experience a major issue associated with plumbing pipe failure is to have your Kitec plumbing replaced by an experienced plumber. In addition to peace of mind and flooding prevention, the replacement of Kitec plumbing can also help you save money. Home flooding is associated with extensive repair costs, especially if flooding damages valuable possessions or leads to a mold or pest problem due to high humidity and standing water. By eliminating the likelihood of a costly plumbing problem, your investment in Kitec plumbing replacement can save you money in terms of repairs and the replacement of damaged materials or possessions, as well as mold or pest abatement. Furthermore, if you file a claim related to your Kitec plumbing before 2020, you are eligible for financial assistance based on a class action lawsuit against the manufacturers of Kitec plumbing. Thus, the costs of replacing your Kitec plumbing can be offset through a payout from this class action lawsuit, reducing or eliminating the cost of this important plumbing service that can protect your home and your belongings from serious flooding and pipe-related problems. Even if you haven’t experienced a problem with your Kitec plumbing, there are several important benefits associated with replacing this material, as well as several serious risks with putting off this vital service. Let us evaluate your plumbing situation and recommend the best course of action for your pipes. Your home is your biggest investment, make sure you protect it with Washington Energy Services. Plumbing emergencies never happen at the ideal time. Nobody wakes up in the morning and thinks, “Hmmm… today seems like a good day to call a plumber.” Plumbing is one of those luxuries that we tend to take for granted until the day that you can’t flush your toilet or take a hot shower. Chances are that you never thought about having a plumber out until it gets to that emergency status of a flood, backed up drain, or no hot water. Much like you should see the doctor every year; your plumbing system needs the same attention and care. 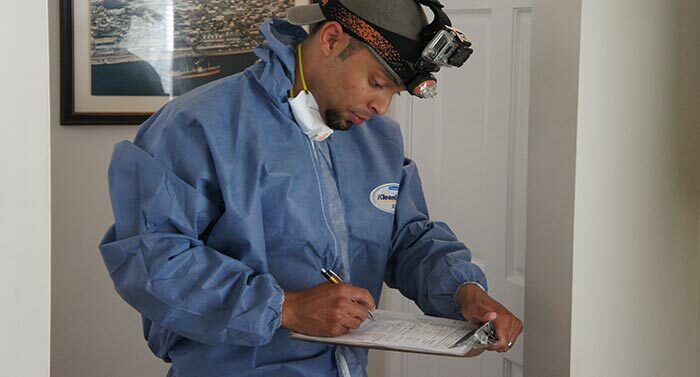 The best way to prevent a plumbing disaster is to have regular, thorough whole house plumbing inspections. Most people don’t realize that this service even exists. It does, and it can save you many headaches down the road. When was the last time you were under your crawlspace to check and make sure that nothing was leaking? How about flushing your water heater flushed as required by the manufacturer on an annual basis? Have you had the water pressure checked, ever? Your plumbing system is one of the most critical systems in your home, and deserves your attention. Call or click Washington Energy Plumbing to have an experienced, licensed plumber out to perform a whole house plumbing inspection and a water heater flush and safety inspection.